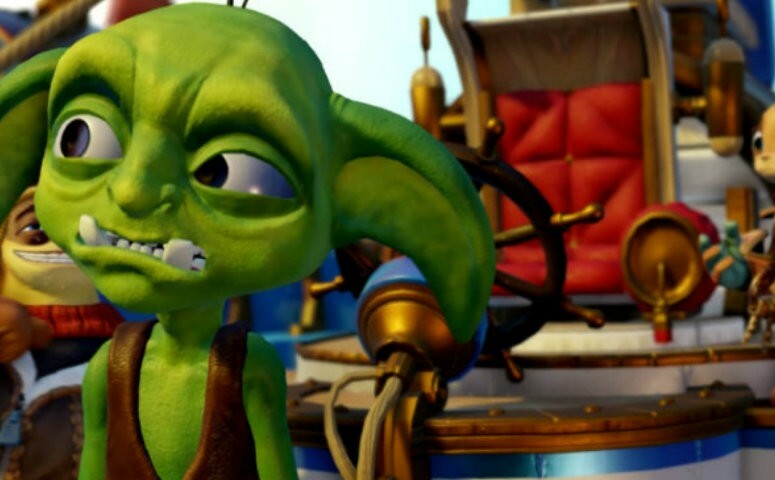 I recently reviewed Skylanders: Superchargers for my day job over on Lazygamer.net. I was expecting to be bored by it seeing as it’s developed to be a kid’s game, but I actually really enjoyed it. Plus, it made me even more excited to get to play it with Harley one day – there is fun co-op so that we can play together, and I think any kid will get a kick out of the humor and adventurous experience. Also, the characters show a lot of empathy, even for the bad guys, and it’s nice to see some cool ideas of friendship and cooperation reenforced in a game. I already explained some of the reasons why I want Harley to be a gamer when she grows up; from mapping and problem-solving skills to decision-making alacrity and an interest in mythology, gaming helps with all of that. But there’s always the question of how old she needs to be to start video gaming, and if all that screen time is good for her. I started looking into this, especially after discussions this weekend where I was seen as a bit odd for being so intent on having specific kinds of stimuli for Harley from birth. I know what I want, and I want her to learn about all kinds of things from before she can walk or talk. There is so much that happens in a kid’s brain so very early on, and reading to her and playing games together will be a big part of that. But mostly these were based on experiences without a screen because so many people rant and rave that screen time is dangerous for every human. Well, not so much. In looking into childhood development, I came across this article that looks at some of the things that are positive or detrimental for kids’ development. What I like is the focus on choice. I remember spending hours on end reading books or playing games or playing piano, and all of that was allowed and encouraged so that I could pursue my interests and explore something for as long or as deeply as I wanted. The article argues that restricting what kids do is what causes the most issues – forcing them to play outside or not engage in activities they enjoy don’t make them better humans, it makes them feel out of control and depressed. Obviously kids also need to learn responsibility and time management and all that, but imposing strict rules about how much screen time is allowed isn’t actually helpful. Okay, so if I don’t have to worry about limiting her to a certain number of hours per day of screen time (something I would never be able to stick to myself anyway), when do you introduce the various toys and games? I will obviously be getting the usual toys for babies – plushies and blocks and that awesome toy workbench that every child should have, but when is it cool for her to start playing with Skylanders? Well, what I like so much about it is that it’s got the dual aspect of toys and video gaming. That means that she can play with the toy car, rolling it around on the floor and knocking over her other figurines or toys. She can act out imaginary stories with the beautifully crafted and rather sturdy figurines from the game, and then one day experience the video gaming aspect that they include as well. All of this plays into the idea of having toys that can grow and develop along with her – when the excitement of a toy car that can roll wears off (which, judging by the gleeful sounds Dean made should last until she’s about 30) she can put the toy on the portal and experience what happens in game with that same toy. Looking at this article, Skylanders sort of seems to pick the main categories I was worried about filling. While blocks and kiddie puzzles and that seriously awesome workbench (yes, I spent hours playing with mine as a child) are fun, kids grow out of it and stop getting as much out of the experience. Skylanders offers toys that can be used in a variety of ways, that can grow with Harley as she gets older, and that can lead to cross-generational play once she’s old enough to hold the controller and play alongside me and Dean. I just wonder if she’ll prefer to steer the car or shoot the guns – either one is a fun choice. The more I’ve looked at the Toys to Life genre, the more jealous I am of my child. I wish we had toys like these when I was growing up. Then again, I’m also glad that we didn’t – Dean and I are already planning to buy a bunch of Skylanders to supplement our collection – just imagine how much more we’d have to buy (and how much less money we’d have as a result) if Harley was already old enough to ask for them? Then again, if you think about it, each Skylander probably costs about as much as one of those Stickies that were all the craze recently, and at least she’ll get way more out of a Skylander. Disclaimer: I was sent a free a Skylanders: Superchargers starter kit and special event vehicle, as well as promised some social media promotion, so I did get free stuff. But even if I hadn’t, I still would have written about these toys because they are seriously rad and I wish I had them when I was growing up.